Authorities are asking for the public’s help finding a man who disappeared following his daughter's wedding, at a venue near the border of Solano and Sacramento counties. 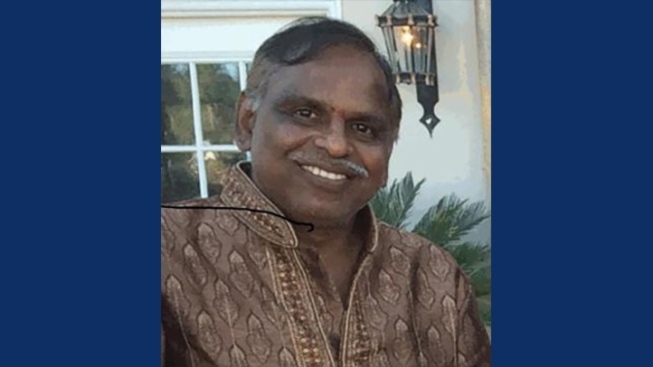 Prasad Moparti was last seen about 4 p.m. Saturday afternoon walking away from the Grand Island Mansion in Walnut Grove, a popular wedding spot in the Delta. Moparti, 55, is visiting from India and doesn’t know his way around. Anyone who recognizes him, or has any information about where he could be, is urged to call the Sacramento County Sheriff's Department.